Northeast shellfish growers have not yet experienced the devastating shellfish die offs seen by West Coast growers in response to ocean and coastal acidification. Nevertheless, they have concerns about OCA and understand that protecting Northeast marine habitats and industry is especially important at this time. Municipal management of coastal nutrients and stormwater and habitat restoration efforts can improve the resilience of coastal ecosystems to acidification. However, we lack comprehensive monitoring at spatial and temporal scales required to provide actionable information for such management. While there are a small number of existing long-term, decadal and climate-scale coastal acidification monitoring sites, the time and space scales are inadequate to understand coastal trends. Crowdsourcing monitoring and integrating disparate data streams through coordination of community science programs and aquaculture industry water monitoring offers an opportunity to expand observations of nearshore conditions of acidification that would be necessary for management. This presentation discusses work over the past year to support such collaboration; including webinars and workshops, GIS tools mapping monitoring stations, and an effort to crowd source monitoring and outreach by hosting a Shell Day event in 2019. Partners include NECAN (the Northeast Coastal Acidification Network), Environmental Protection Agency, Maine and MIT Sea Grant, the Connecticut Department of Energy and Environmental Protection, the Connecticut Department of Agriculture, and the Maine Ocean and Coastal Acidification Partnership (MOCA). In 2008, 29% of the available food supply for human consumption was lost in the United States (Buzby and Hyman 2012). Currently most food waste is either landfilled or incinerated; but it could be used to feed hungry people or to cycle nutrients back into productive soils. While it is best to redistribute excess food to those in need, not all discarded food is edible. Composting and anaerobic digestion provide an alternative to land filling and can recover nutrients from the waste for other horticulture or agricultural purposes. Composting and digestion are emerging industries with the potential to significantly reduce waste. But, these new industries, if not managed sustainably, also have the potential to produce new risks. Contamination of feedstocks is one of the biggest problems facing operators; feedstocks come from a variety of businesses, meaning that the quality of the inputs is highly variable. The research presented aims to understand how nutrient cycling facilities and the potential consumers of soil amendments perceive and respond to these risks. Understanding risk perceptions is key to creating a circular food system because these perceptions influence how facilities respond to potential risks, the safety of their product and ultimately, whether or not soil amendments are safe. To collect stakeholder perceptions a survey was sent out to New England compost operators to collect risk perceptions involved with their businesses and gain insight into how the facilities operate. These risk perceptions are important to identify and address so that mitigation strategies can be developed, and operators can run a more sustainable business that contributes to waste reduction and more sustainable local food systems. Until five years ago, there were few mechanisms in place within the Wabanaki communities to keep Native students connected if an interest was sparked in the science, technology, engineering and math (STEM) fields from middle school through college. The past four years, the Wabanaki Youth in Science program (WaYS) has been the “bridge” for high school students to learn more about STEM fields at the secondary level. The next step in the process to develop a model educational program that will provide Native Youth persistence in post-secondary education. Currently, due to multiple challenges that Native Youth face, there has been only a 1% increase in Native Youth graduating from post-secondary education over the last 15 years. This can be attributed to a lack of inclusion, lack of involvement and a lack of interdisciplinary approach to the educational framework of predominately White institutions and the dominant ideology. The challenge is to develop a process that begins the paradigm shift to benefit Native and non-Native students as it relates to sciences in college. Increasing the number of Native Tribal environmental leaders as well as non-Native environmental leaders understand the connection between cultural and western science helps strengthen the communication bridge between the Tribe and outside natural resource departments such as United States Forest Service (USFS), Maine Forest Service (MFS), Environmental Protection Agency (EPA) to name a few. This broader understanding may help with future funding decisions, future policy decisions and/or future regulations as it relates directly to Tribal land and water management. Marine renewable energy is relatively new, but the need for developing alternatives to traditional fossil fuels is increasing. A major challenge in the decision-making process for this development is a lack of “usable” information for management and policy decisions (Clark et al. 2016, Dilling and Lemos 2011), but knowledge production and decision-making processes are increasingly interconnected. These issues make it difficult for stakeholders involved in marine renewable energy decision-making to obtain essential information for making effective management and policy decisions. The objective of this study is to improve decision-making at various levels by co-producing usable knowledge. This research is taking place within the context of tidal power development in an area near Eastport, Maine called Western Passage. In order to understand stakeholder perceptions on data “usability” and improve the decision-making process, I am working closely with stakeholders to document their perceptions on usable information and their needs and insight on the decision-making process. The target group of stakeholders includes the industry developer, federal and state regulators, a tribal environmental department, and community members. We are conducting quarterly stakeholder meetings to discuss existing data, knowledge gaps, and determine the most useful method to compile the data to make it more accessible. Understanding what usable data means to stakeholders will allow me to tailor approaches to data integration and sharing in a way that meets the specific needs expressed by stakeholders. Applications of this case study will help improve decision-making under uncertainty in other locations looking to develop marine renewable energy. Management activities are important to projecting forest inventory and harvest schedules. These activities have many determinants, such as market drivers, plot/resource conditions, and land-use policy. Research indicates that landowner choices are consistent with economic theory, where harvests are positively correlated with stumpage prices but negatively correlated with site features. Maine’s forest sector has been an economically significant for more than a century, utilizing a range timber species, size, and quality for diverse wood products. The sector has changed significantly over the past 20 years though with several paper mills closing and domestic biomass markets slowing down. Landowner composition in Maine has also shifted away from large industrial to other private entities who often seek non-monetary use and returns from their forest investments. Emerging forest product industries like cross-laminated timber manufacturers and wood-derived biorefineries have expressed interest in Maine, but want assurance that there is steady wood supply. This paper uses plot-level data from 2000-2016 to develop and analyze a multi-period harvest choice model for Maine. We estimate the significance of stand characteristics, and economic and policy drivers on forest management decisions, including the harvest intensity of six species across four product classes (low-diameter biomass to sawlogs). Preliminary results indicate that harvest behavior is significantly influenced by stand type, site location, stumpage price, and harvest cost. We then use these findings to project the impact of adjusting policies such as forestland taxation, land-use restrictions, and carbon offsets to estimate their effect on harvest behavior and wood supply. A notable characteristic of Maine’s forested landscape is the microtopography caused by a combination of factors related to surficial geology and tree fall. These features are often on the scale of single meters wide and decimeters to a meter in depth, appearing as “puddles” in the landscape during intense or high magnitude precipitation events. The surface water detention provided by the depressions can be substantial at the scale of a watershed and measurably affect runoff rates in low order streams. Generalized ranges for surface water storage capacity have been summarized in textbooks for varied landscape conditions, but little is known about how microtopography and related detention varies in Maine’s dominant physiographic settings defined by slope, surficial geology, and land cover conditions. With the increasing availability of high resolution elevation data, it has become possible to remotely evaluate the extent of these depressions and quantify the total upland storage capacity they may represent. This talk gives a brief overview of work done in spring 2018, which appeared in a poster of the same name at the 2018 Maine Water Conference. In it, we described and quantified microtopography and depression storage volume using LiDAR elevation data from five Maine watersheds, then related the distribution of microtopography to variations in landform and land use conditions. The science of cooperation can give us new insights about how to build durable and sustainable food systems. As a research assistant in Tim Waring’s Local Food Science lab, I study cooperation in the food economy. Specifically, we are investigating small-scale cooperative purchasing groups known as “food buying clubs.” Our team is conducting a study of food buying clubs to understand whether and to what extent they rely on cooperation to emerge and persist, as well as the mechanisms they might have in place to incentivize and sustain cooperation over the long term. We have conducted two online surveys, economic experiments to measure cooperation, phone interviews with club coordinators, and used agent-based modeling and social network analysis to study the clubs’ purchasing history. This talk will focus on a handful of preliminary results from coordinator interviews, online surveys, and economic experiments. I will show that the food buying clubs we’ve worked with demonstrate a higher degree of internal economic cooperation than most other groups studied academically, and share some key predictors of cooperative behavior that have been identified within these groups. I’ll briefly discuss the meaning of these results, and share the current direction of our research. Coastal communities in Maine face immense pressure from a variety of stressors such as changing ocean conditions, declines in key fisheries, and the loss of working waterfront infrastructure. With over 3,000 miles of coastline, and a culture and economy deeply tied to marine resources, citizens and municipalities in Maine have important questions and concerns about the capacity of their coastal communities to respond and adapt in the face of mounting social, economic, and environmental pressures. Planning for social-ecological resilience is critical to ensuring the longevity of coastal communities. In this context, resilience is defined as the ability of coastal communities to withstand disturbances without fundamentally changing their essential identity, structure, and functions. Challenges such as coastal flooding, population decline, and economic strain are felt at local scales where people are closely linked with coastal and marine systems. Ultimately, many decisions and policies about how to adapt and remain resilient in the face of environmental and economic change will need to be made at the community level. Comprehensive plans are documents designed to guide the future actions and direction of a community. These plans were originally required of municipalities to address issues of urban sprawl, yet this is not the primary challenge facing these coastal communities today. 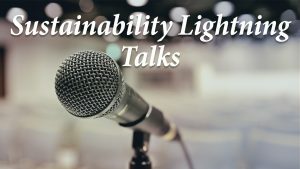 In this talk, I will draw on insights gained from participating in town-level planning activities to discuss the role that comprehensive plans play in mobilizing communities to implement strategies that build adaptive capacity as they face unprecedented challenges and plan for a changing world.